No previous case has generated as much online reaction, county fire spokeswoman Elise Armacost said. Authorities pleaded repeatedly for civility, and county staff took down comments that contained profanity or were typed in all caps. But they have struggled to keep up with the avalanche of angry postings – many of which called for the accused driver to be hanged, shot, run over or raped. “Sadly, these comments are a microcosm of the conflicts and lack of civility we see in the country right now,” Armacost said. Stephanie DeLuca, a Johns Hopkins sociologist, has long studied Baltimore youth. She’s also the daughter of a 40-year veteran of the Chicago Police Department. She described the “absolutely awful” case as a kind of perfect, polarizing storm. “Once fear is sparked, anger is sparked,” she said. 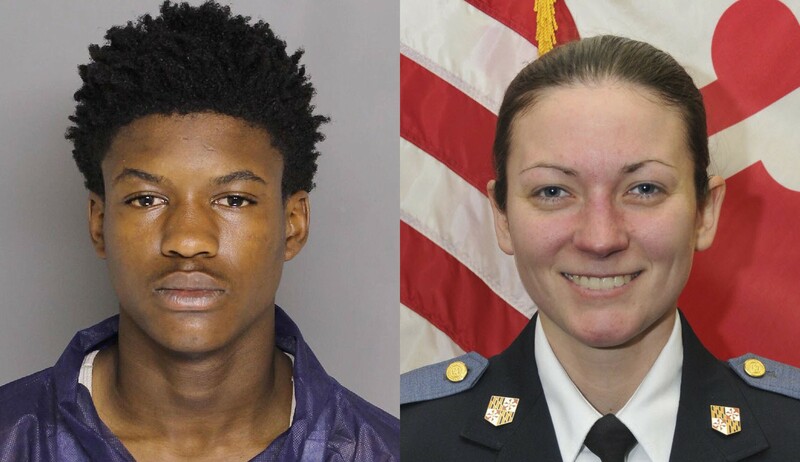 Authorities say the teenagers were burglarizing homes in Perry Hall Monday afternoon when Baltimore County Police Officer Amy S. Caprio approached the Jeep. They say driver Dawnta Harris, 16, of the Gilmor Homes public housing project in West Baltimore, ran her over. Caprio died a short time later. Harris and three other youths were charged as adults with first-degree murder. That the black youths had driven to the county, populated in no small part by decades of white flight from the city, fueled heated exchanges online and over the airwaves. Where some saw predatory “animals” and “thugs,” others saw demonization and a rush to judgment. Finger-pointing between city prosecutors and state juvenile officials only added to the fire. “It’s time that we just turn the city over to the hoodlums and just let them annihilate themselves,” one commenter wrote on The Baltimore Sun’s Facebook page. DeLuca said the anger obscures an important point: Most young people in Baltimore’s impoverished neighborhoods are going to school or working or both, not out on the streets and creating mayhem.